Situated at Lake Wakatipu, the delta of the Twelve Mile Creek is a lovely spot. You can go fishing or swimming in the adjacent lake, or head off into the mountains on foot or by mountain bike. A basic campsite run by the Department of Conservation provides tap water and toilet facilities. 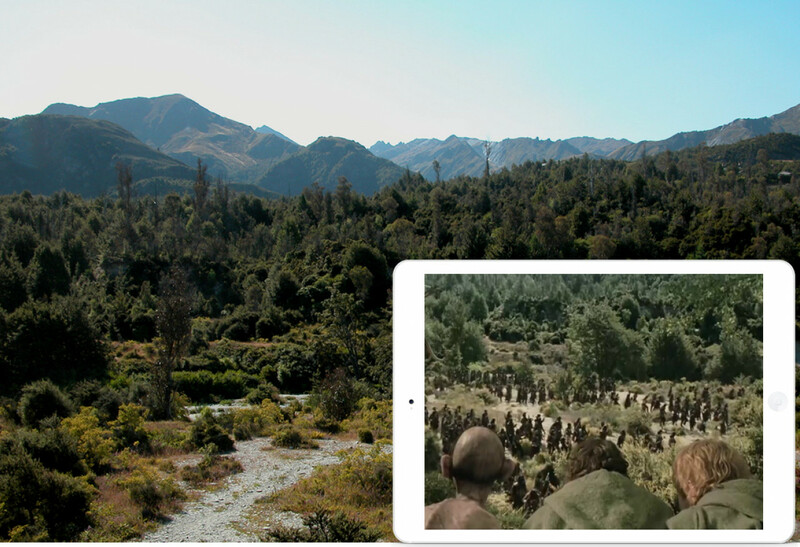 The immediate area along the Twelve Mile Creek was used as one of the main locations for Ithilien in The Two Towers. In a lenghty scene filmed amidst the scrub, Sam and Gollum are having a row over how to prepare coneys. Frodo finally decides that he needs some peace and quiet, but he quickly discovers that enemy forces are nearby. Moments later, Sam and Gollum join him. Sam: "Who are they?" Gollum: "Wicked men. Servants of Sauron." "Mister Frodo, look. It's an oliphant." Seconds later, the men of Harad are attacked by Faramir and his rangers. 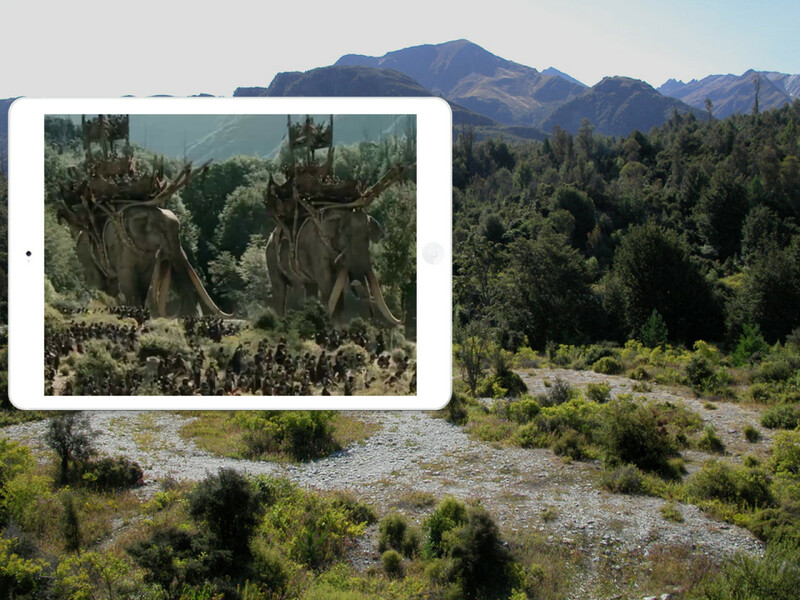 It's a victorious battle for Faramir, who also manages to capture the hobbits and Gollum. The turn off to Twelve Mile Delta from the main road is clearly signposted. Drive down to the campground area and park your car at the western end of the campground, where a track leads towards Twelve Mile Stream and across a footbridge. After about ten minutes, you will reach the area where Gollum catches the rabbits. Bash you way through the undergrowth to reach the cliff edge, where Frodo, Sam and Gollum lie in hiding and watch the battle. Coordinates for the cliff edge viewpoint: S45° 4' 9.135" / E168° 32' 43.259" or -45.06920402864517 / 168.54534979927064.